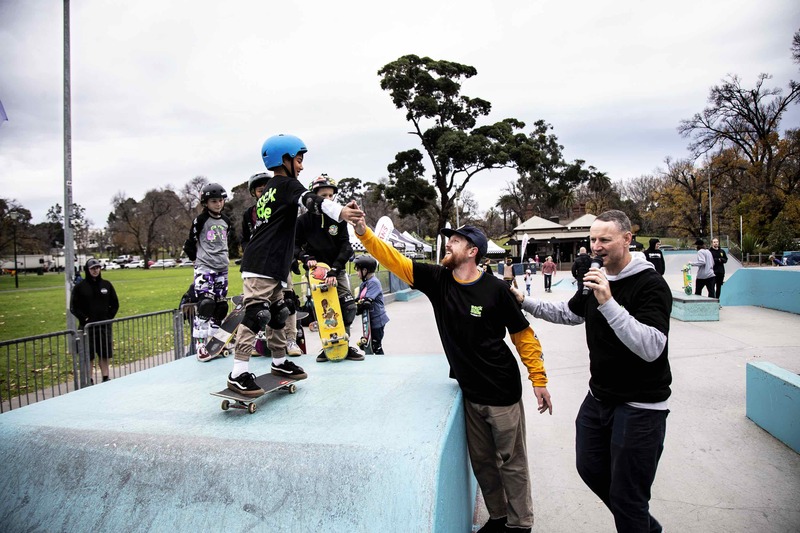 This year to celebrate GSD in Melbourne Vans introduced #OFFTHEWALLRIDE, a user generated competition where skaters can film a wallride, tag @vansaustralia and hashtag #offthewallride, with the best clips rewarded with new Vans Pro Skate shoes and apparel. 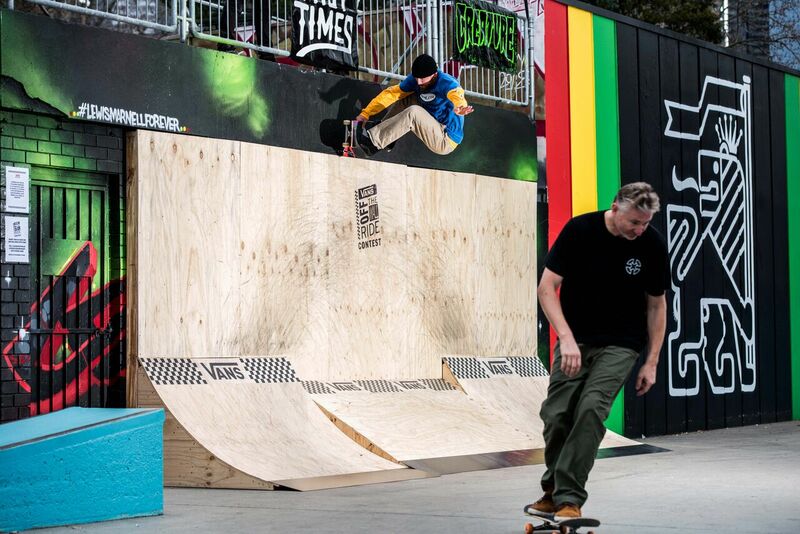 Vans constructed an #offthewallride obstacle, a unique design that you don’t find in the streets or in a skatepark. The Wallride obstacle was a huge hit and played focus for the main event, some truly amazing skateboarding went down. 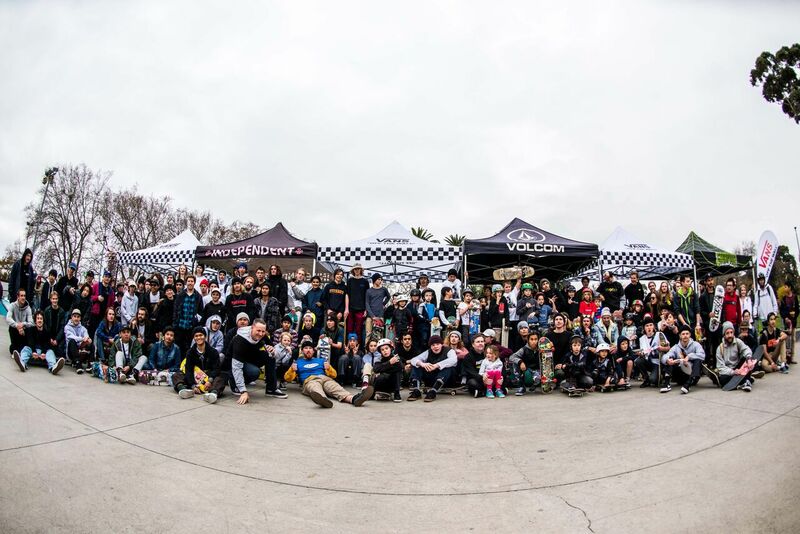 Skateboarding is stronger than ever and adding to this year’s event was the Jesse Noonan: Volcom x Rock’N’Slide skate school ensuring the younger generation are rolling on the right path as well as Free Food, giveaways, prizes, Vans Waffles and a free Vans #OFFTHEWALLRIDE t-shirt. Vans would like to thank everyone who made this event possible including Riverslide SkatePark, Fast Times Skateboarding, Volcom, Rock’N’Slide Skateboarding, Skullcandy, Independent Trucks, Oj’s, Creature, Ryan Harbottle and the YMCA Rivers Staff, Jesse Noonan, Ben Currie and Tommy Breaks for running the Skate School, Jenna Telman, Stephanie Bimbilovski and all the Vans Riders that shredded so hard. Vans would also like to thank everyone who supported the 2018 Go Skateboarding Day. With over 50 skate events happening across the Asia-Pacific region, Vans continues to join forces with the beloved skate communities to embrace creative self-expression and push Skateboarding culture forward.